SlideRocket approached us to create a brand new video that captured the breadth of and power of their presentation platform. We collaborated on the messaging and developed a visual approach that synced with a revamp of their product and site. 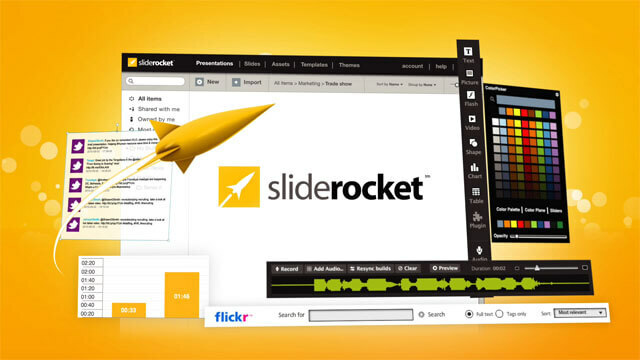 We wish we had the time to create the video from within SlideRocket – maybe next time. Posted in Master Playlist, Overviews and Explainers, Picturelab Design, Product Tours.